Our goals and dreams are there waiting for us to Dream them, we need only to direct the energy. A Vision Board is an excellent way to provide clarity for yourself and the universe as to what you want exactly! A vision board is a visual representation of dreams or desires you wish to have or do in your lifetime. It can be as simple as using a foam board with cut-out pictures, drawings and/or writings of your vision or goals. The purpose of a vision board is to activate your dreams. The pictures you select for the board should be the best representation of your dreams; they should evoke strong feelings that energize you even if you don’t know why. Vision Boards are one of the most effective ways to choose exactly what we want in our lives! What an amazing way to present this smorgasbord of fantastic ideas to the Universe to ultimately fulfill our wishes! This will be my third Vision Board Workshop and I am always blown away at what each attendee co-creates and manifests. Because of the amazing 11:11 energies coming in (November 11) this workshop will harness this potent energy to give an extra powerful boost to your visions. The universal energy is here to support each and every one of us! You need only ask. It’s that simple. However, many of us have a difficult time articulating exactly what we want short of a couple million dollars and a shiny new car. This is (for many of us) not what we came here to experience. Ours is to love our self and expand the love outward couple with all the other wants, needs, desires that each of us uniquely would like to create in our lives. 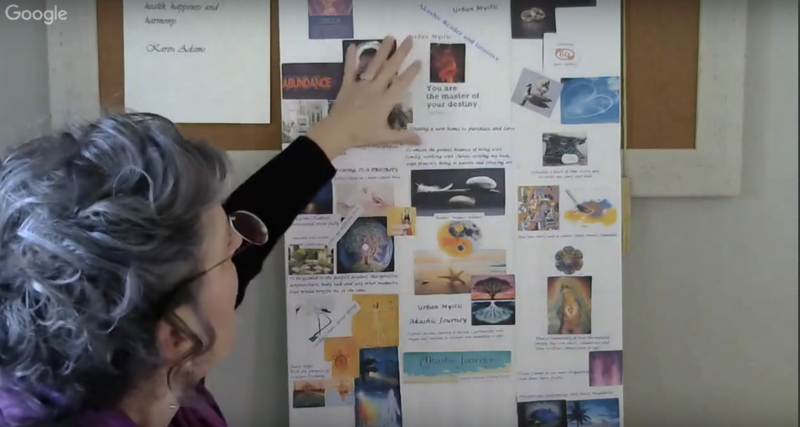 This is where the Vision Board is such a dynamic way of expressing ourselves and our needs to the Universe. We can use words, pictures and even 3D objects on our boards to get our point across. And so you might ask, how exactly do I know what I want or what that looks like? Who really knows their Soul’s Purpose here in this lifetime? That’s where the Guided Meditation to the Akashic Records comes in. To get started before the actual creation of the vision board, I will offer a guided meditation taking you to your own personal Akashic records. This is where I will introduce you to your own room, your book and the exact chapter where this information is kept. So, we travel to our own personal Akashic Records and spend time reading YOUR book. We then take the couple days after the meditation to rest and allow that information sift in and realize within our Self. Join Karen for a live online workshop where she shares how to use Feng Shui principles to amplify and balance your Vision Board in order to manifest your greatest desires and dreams! 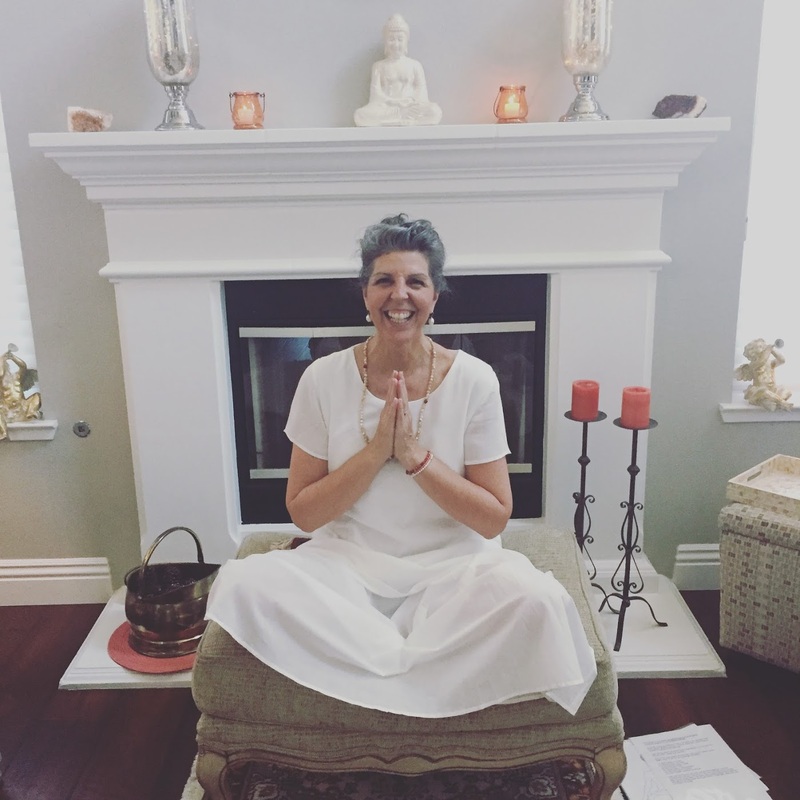 Prior to the workshop (dates are below) Karen will guide the group in a live Guided Meditation to access each individual’s Akashic Records so that you may gain clarity on what your deepest wishes and desires are and how they related to your life’s purpose. Upon registering you will receive a call-in number. Please choose a date and time that works best for you – it is highly recommended you join the Guided Meditation. It is recommended you begin wishing and dreaming prior to the workshop and have your pictures/images cut out and ready to be assembled. Free recorded meditation to assist with uncovering your life path. Pictures for your board, these can be printed out from online or from magazines, sometimes 3D mini items can be used. Statements and words in large and colored font work well and have excellent impact. To register for the workshop, choose a payment plan. Option 2: Only $37.00 up front and two additional payment of $37.00 for the next two months. When you select the “buy now button” or “installment plan” you will be directed to PayPal. There you can pay for your spot with PayPal, or alternately with a credit/debit card without using or having a PayPal account. Once the payment is complete you will receive an email with workshop information. Thank-you and I can’t wait to co-manifest with you!